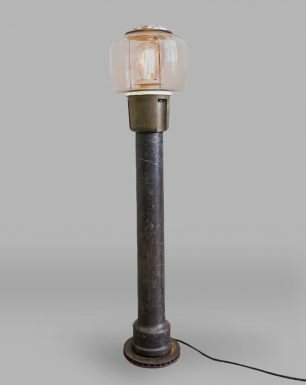 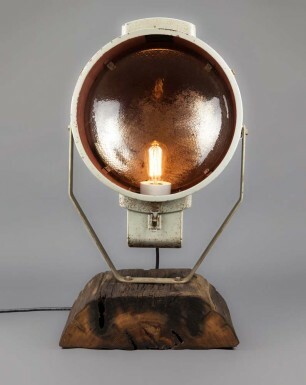 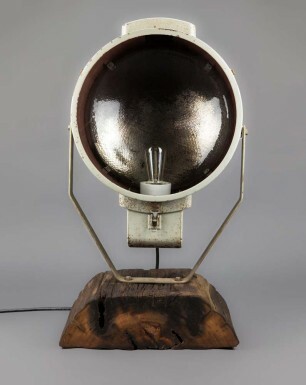 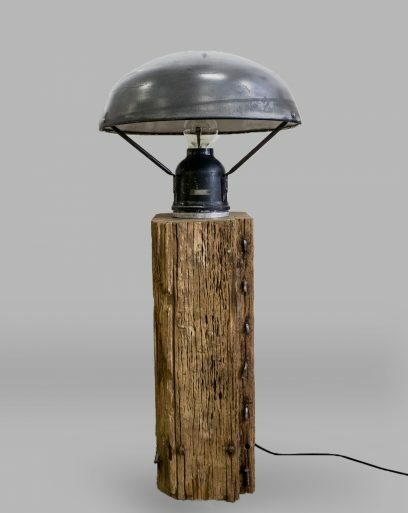 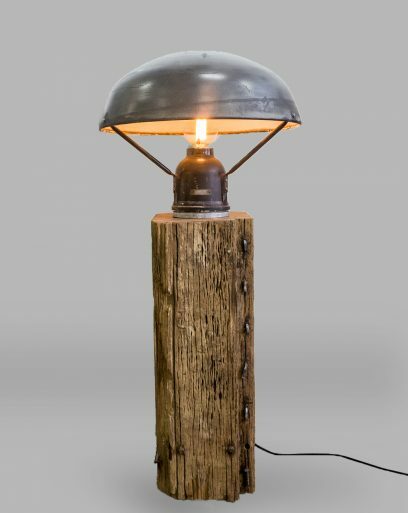 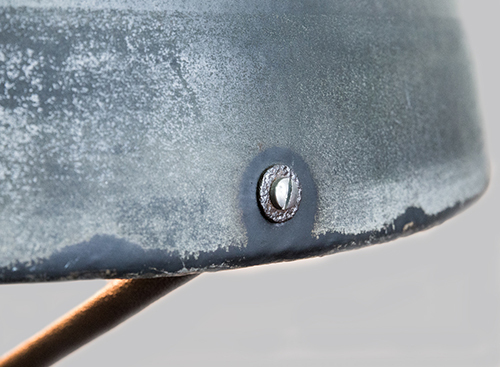 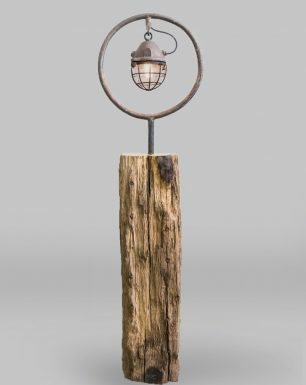 During the DDR-era, these industrial lights were placed high on wooden or concrete poles, and illuminated outside areas from great heights. 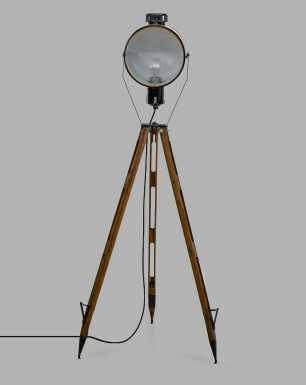 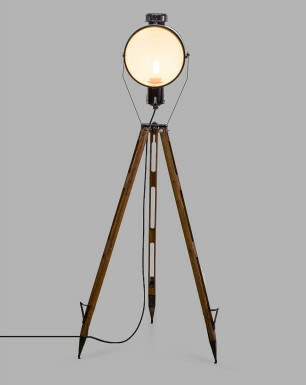 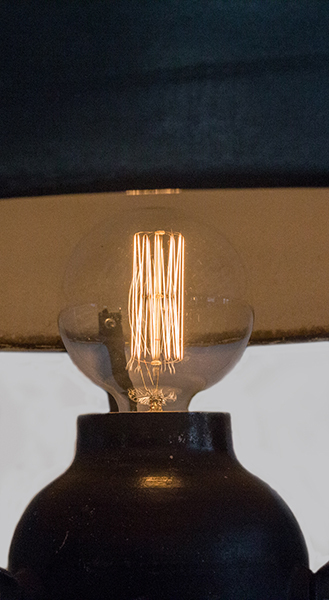 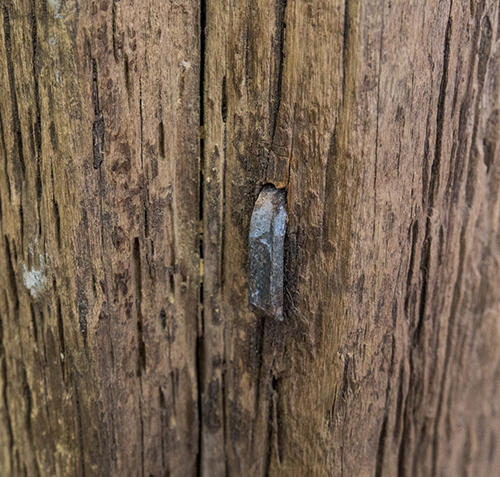 It originally featured a 1000 watt light bulb, and was found along railway tracks or on military complexes. 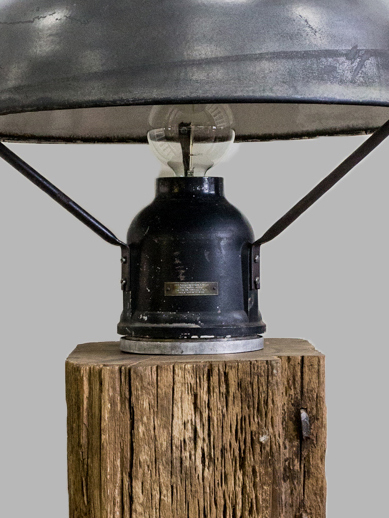 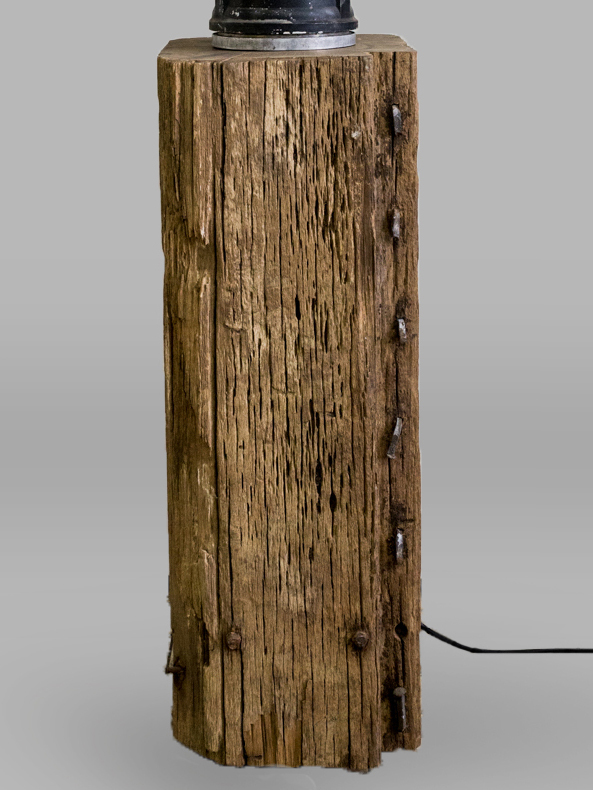 We placed the fixture on a piece of Basralocus wood, weighting almost 100 kilograms. 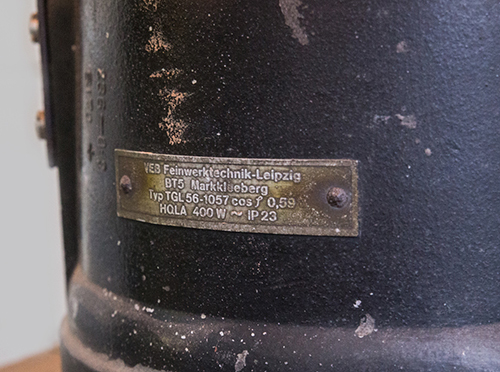 This socket used to be a docking piling at one of the many bridges of Amsterdam. 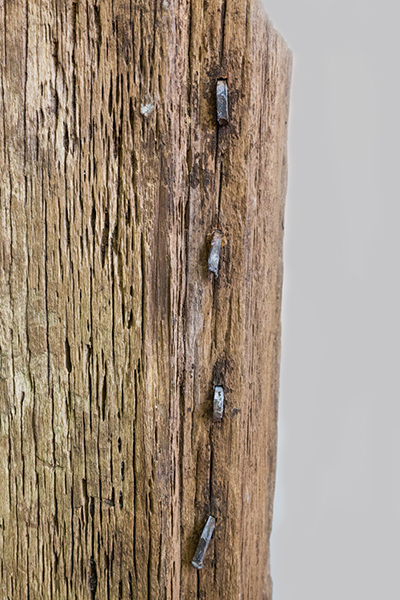 The fact that this extraordinary piece of wood has been in the water for 40 years is clearly reflected in its beautiful erosion markings. 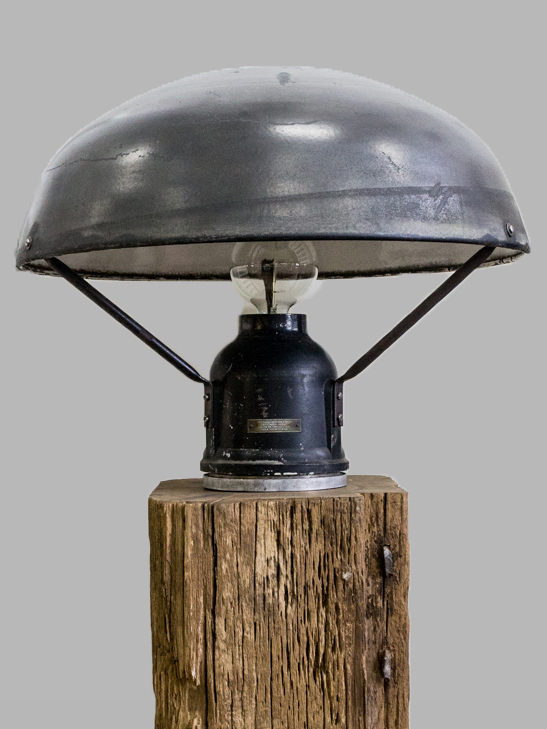 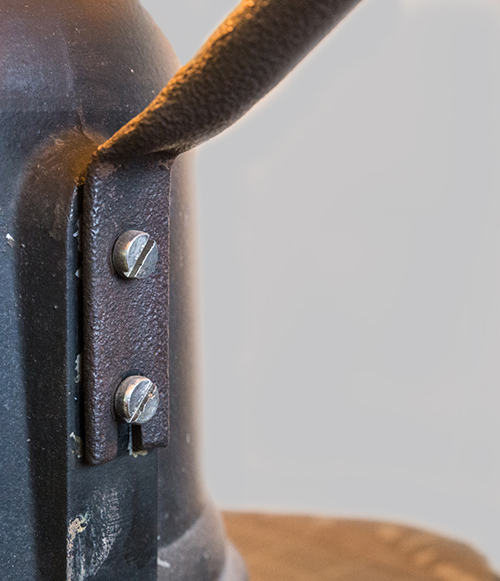 The Black Elephant comes with a warm LED bulb (E27 / 2200K), a 1,5 meter matt black cable including grounded plug, and its passport describing the history and origin of the lamp.